Try this tasty mac & cheese! When winter weather strikes in the Albany area, there’s nothing better than comfort food to help weather the storm. And when we think of comfort food, one of the first things that come to mind is good old macaroni and cheese. 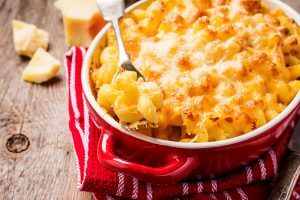 Delicious on its own or as a side, macaroni and cheese is tasty, comforting and the perfect dinner on a snowy evening. But did you know you can easily make mac and cheese right in your slow cooker? It only takes a couple of hours, and is super simple to make. 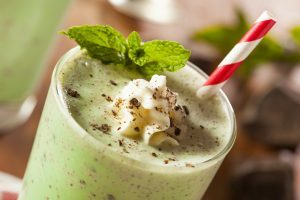 We’re sharing this recipe courtesy of the Delish website – we hope you enjoy! In your slow cooker bowl, combine all ingredients, seasoning to taste with the salt and pepper. Cook on high until the pasta is cooked through and sauce has thickened, about 2-3 hours. Begin checking pasta for doneness after two hours, then every 20 minutes after. Comfort food in your tummy is good; home comfort is even better. Family Danz can help you stay cozy all winter long. Simply call us at (518) 427-8685, and we’ll be happy to assist with your winter heating needs. 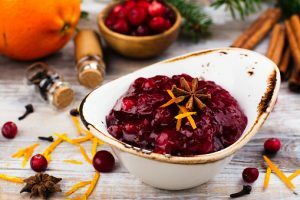 Cranberry sauce is a staple at most Thanksgiving feasts, and most of us are familiar with the jelly kind that plops out of a can! But this year, why not put a new spin on your cranberry side dish, with this tasty cranberry chutney recipe from Allrecipes.com? The addition of other fruits, spices and a bit of zing will make this dish be the standout at this year’s festivities. 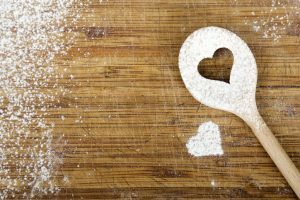 In a medium saucepan, combine water and sugar. Bring to boil over medium heat. Add all remaining ingredients. Return to boil, and then simmer gently for 10 minutes, stirring frequently. Pour mixture into mixing bowl. Place plastic wrap directly on the surface of the sauce. Cool to room temperature. Serve, or cover and refrigerate. Return chutney to room temperature before serving. At Family Danz, we believe in treating customers as though they’re a part of ours. That’s why for emergency repairs, we are available 24 hours a day, including weekends and holidays – because we know emergencies can occur at the most inconvenient times. If you need emergency services, even on Thanksgiving, give us a call at (518) 427-8685. Just be sure to save us the drumstick! Fall is here, and so are all the delicious tastes of the season. Pumpkin spice abounds, and apples are literally everywhere. Whether you like to pick them yourself, or enjoy the great fall sales on them at the supermarket, there is no better time of the year than right now to enjoy fresh, ripe apples. Of course, they’re tasty just to grab and snack on, but there are so many different ways to enjoy them. Sprinkled with cinnamon and sugar, baked into a pie, or, one of our favorite ways – covered in yummy caramel! We’re sharing a fun recipe for caramel apples with you from Allrecipes – they’re super easy to make, but one thing’s for sure – they won’t last long! Remove stems from apples and press a craft stick into the top. Butter a baking sheet (you can use cooking spray as well). Place caramels and milk in a microwave-safe bowl and microwave for two minutes, stirring at one minute. Allow to cool briefly. Roll each apple in the caramel sauce until coated well. Place on buttered baking sheet to set. While apples are tacky to the touch, if desired decorate with nuts, sprinkles or candies. 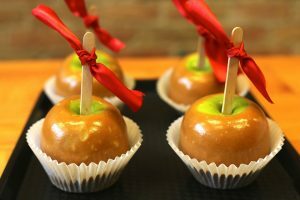 Sticky situations are good when it comes to enjoying caramel apples, but not so good when it comes to your home’s heating system. If your heating system isn’t running the way you’d like, you can count on Family Danz to help. We can repair virtually any make or model of furnace or boiler, so just give us a call at the first sign of trouble and we will be more than happy to assist you.